When health issues are here don’t ignore them. Now a days back pain problem is a very common issue. Not only old people but the young ones are suffering from this problem as well. Actually computers, laptops and mobile activities increase their part in our daily life. Even children also prefer to play games on computers in spite to go outside. This problem usually occurs with the people who have to sit more in their daily routine. Such people are suggested for the exercises, massages or therapies from the doctors or physicians. In such case ironman gravity 4000 inversion table is the best solution to your problem. It saves your time, when you get it once. You can do the therapy at home without going anywhere. Many people didn’t hear about the inversion table before. Inversion table actually inverts your body to relieve the back pain. This will surely affect your pain within few days. It reduces the pressure which causes the back pain. It has an extensive capacity of weight as an extra feature. Before taking decision to buy an ironman gravity 4000 inversion table give a glance at its important features and specifications. It will help you in taking right decision. Below is the description. Ironman gravity 4000 inversion table is the sturdy inversion table helpful in relieving stress and stimulating blood circulation. According to doctors, cause of back ache is pressure or stress over it. Inversion table inverts your body upside down to release the pressure or stress. While decreasing the pressure back ache starts decreasing. When your body gets inverted, spontaneously your blood flow increases. When your blood flow stimulates it will relieve your back pain. Inversion table have a strong tabular steel frame. This gives an extra durability to the table. Along with memory foam nylon backrest it has non-skid ground stabilizers. It has powder-coated finish to give a fine look. This coating prevents it from getting spoil for years. Inversion table have an ability to invest up to 180 degree. It has more weight carrying capacity. It can carry weight up to 350 pounds while the other ordinary inversion tables have capacity of 250 or 300 pounds. This table can be easily used by athletes and body builders without any risk. Security wise it has extra security features than the average inversion tables. Its non-skid floor stabilizers, molded ankle cushions, safety tether strap are the attractive security precautions. It has three different angle adjustments as per your wish. You can set an angle where you are feeling comfortable. Molded ankle cushions will give you a sturdy grip. Tether strap gives you a free feeling while inverting your body. People usually prefer the product which takes less space. Ironman inversion table can easily be folded. It weighs 75 pounds. People can store it anywhere when not in use. Permanently relief from the pain. 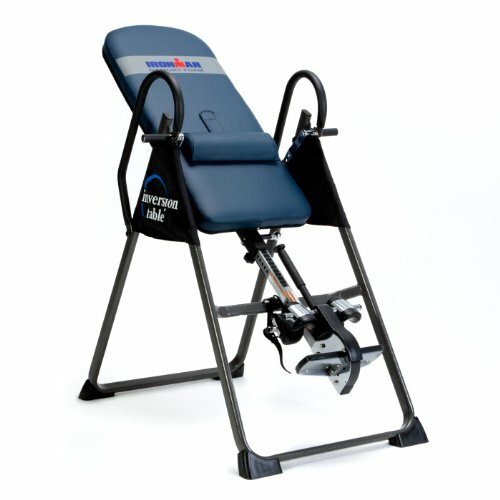 According to the customer’s feedback, ironman gravity 4000 inversion table is one of the best choice for the patients of back ache. It is best for athletes and sportsmen or the people who are heavy weight. It is easy to use. 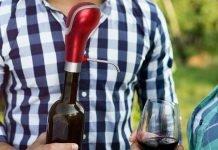 It saves your time as you can use it at home after work. Someone who prefers to buy durable and comfortable product for the therapy must go for the ironman gravity 4000 inversion table. Security issues are most important for the people, so must go through the security features of this model of inversion table. It will give you guaranteed security. Some people think it expensive. But when you once get it you will really appreciate its comfort and features. It gives you the fast relief from the pain. After using this inversion therapy table you will admit that wealth is not more than health. Ironman gravity 4000 inversion table is a sturdy, extra wide steel table. It has memory-foam nylon backrest. It has non-skid floor stabilizers, molded ankle cushions and tether strap to provide extra security options. It can carry extra weight up to 350 pounds and inverted till 180 degree angle. Its powder coated polish prevents it from being destroying. You can easily store the table when not in use. It can be folded and placed in a lesser space. Due to its storage you can use it for several years without replacing. It gives you relief from back ache with in few minutes. By the daily use of this table you can permanently get relief of the back ache. If you are recommended by the doctor or physician for the therapy you must go for the ironman gravity 4000 inversion table.